JavaOne is a coffee pod that can be used on My Café by Bunn and Mr. Coffee home café. This is a simple explaination. 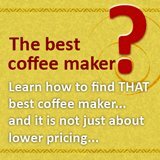 I don’t know what your coffee preferences are but if you are just the solo coffee enthusiast who could not get past the morning without a cup of coffee, the Java One pods for single cup coffee maker is a good choice for you. 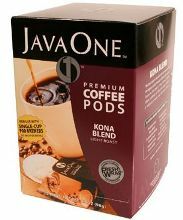 Javaone coffee pods will offer you a morning cup of aromatic coffee which is what every person hopes for right?It creates enthusiasm to carry out the whole day work load. The Java One coffee pods are exclusively designed to fit the individual taste and soothe the taste buds since it prevents wastage of coffee as well as with ease to clean up. 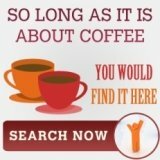 Moreover, the Java One provides a huge variety and flavored options to coffee enthusiasts including the flavors from house blend pods to hazelnut, vanilla, exotic estates of coffees as well as decaffeinated coffee. 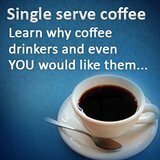 You can also enjoy freshly brewed gourmet coffee anytime you would like. Java One coffee blend starts with finest Arabica coffees combined with a little blend of Costa Rican coffee and vigilantly roasts each coffee bean using the original convection roasting procedures. Ground coffee are calculated and sealed in separate coffee pod for utmost cleanness and freshness. From the coffee farm to you cup, this blend is wonderful cup of coffee whenever. By means of the coffee pods, you can easily prepare a cup of coffee. All it takes for you to take into consideration is insert the pods, press the required buttons and a cup of coffee will automatically come out. It is compatible to use on the other single cup coffee makers of Cafejo, Home Café, Senseo and even My Café by Bunn. This meant that there are a variety of coffee makers that are able to use javaone coffee pods. 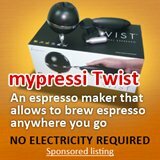 Unlike Nespresso, Keurig or Tassimo where one is obliged to purchase their coffee if they are using their coffee machines models. Now that you learn about javaone, perhaps you want to know what types of specialty coffee you can use on it? This link might provide some answers.